HIGH The new ability to rewind. LOW Missing features between the collections. WTF Why doesn’t Slash Man have an awesome top hat? 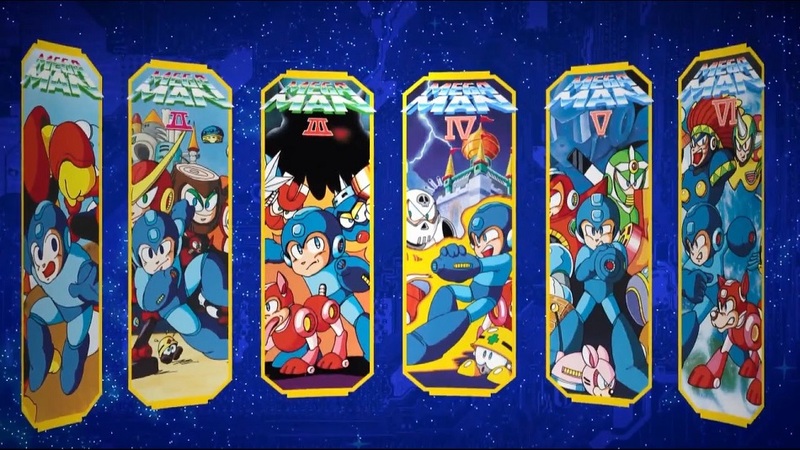 Any gamers who’ve been around for any length of time most likely know what Mega Man is, so it would be redundant to review each of these games separately. Instead, what I’ll do here is take a look at how Mega Man Legacy Collection 1 & 2 celebrates the franchise as a whole, how well it works on the Switch, and what additions have been included. 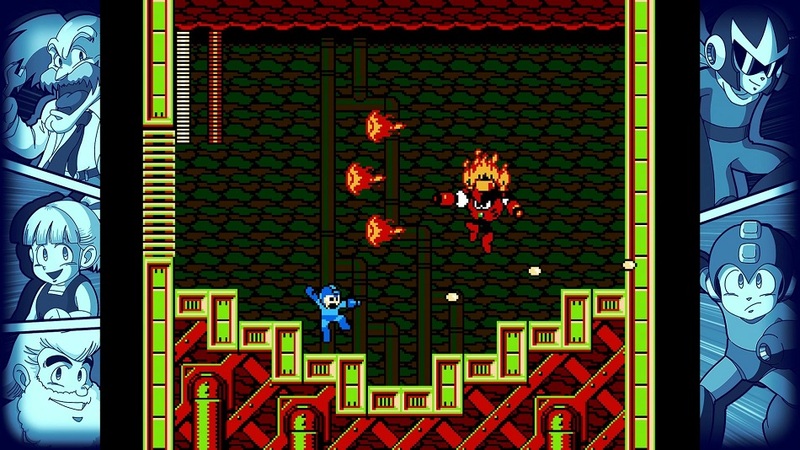 The first game in the collection consists of Mega Man 1-6 from the NES. The second includes Mega Man 7 from the SNES, MM8 from the PS1 and Sega Saturn, and MM9 and MM10 found on most current generation systems. The titles in both collections have been near-perfectly captured from their original versions, all the way to the flickering and slowdown that was common on older hardware. The first collection has a Turbo CPU option that smooths these issues out with varying degrees of success, but it’s completely optional to have on. In fact, some speedrunning tactics abuse these older limitations, so making this function an option rather than a rule works in the collection’s favor. Turbo CPU is absent from MMLC 2, but honestly, the later games don’t need it. It’s a justifiable omission. Another difference between the two (but far less excusable) is the rewind ability. 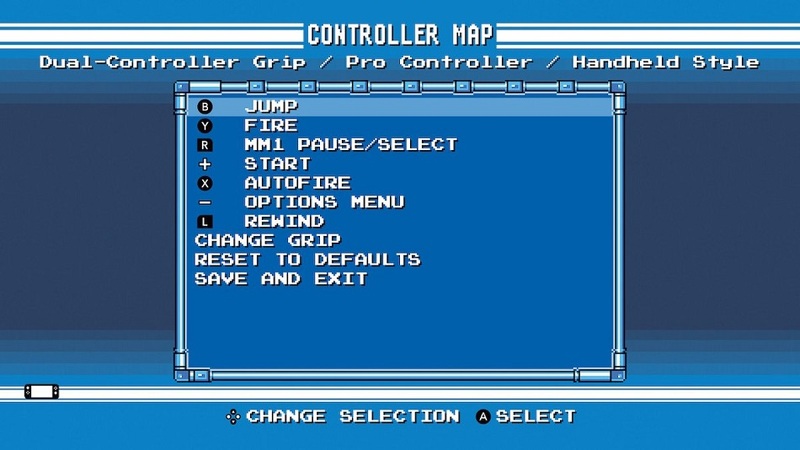 In MMLC1 the gameplay can be woven backwards, music and all, with a touch of a button. Missing a jump or wasting a shot can all be undone on the fly. This lessens the brutal difficulty found in the first six games by a substantial amount, and just like the Turbo CPU option, it can be completely ignored by any purists out there. However, it is by far the most welcome addition to the games, which is why it’s absence from MMLC 2 is so noticeable. Both MMLC1 and 2 come with “museum” features, and the first collection blows the second out of the water. MMLC2 has a concepts and various other pieces of art, but the first one also goes the extra mile in showing off the original boxes, cartridges, and advertisements as well. Both games also come with their own challenge stages and remixed levels for those who want that extra bit of difficulty. While these provide longevity, they also block some of the maps behind the guise of exclusive amiibo content. While the idea is “cute” in theory, let’s call this what it actually is — gating off included content behind a paywall. Disclosures: This game is developed by Digital Eclipse and Capcom and published by Capcom. It is currently available on PS4, XBO, PC, 3DS (first game only), and Switch. This copy of the game was obtained via publisher and reviewed on the Switch. Approximately 10 hours of play was spread out among the games. There are no multiplayer modes. Parents: According to the ESRB, this game is rated E10+ and contains Cartoon Violence and Wiggly, Bushy Eyebrows. Overall the game is tame on the violence but some of the animated scenes found in 7 and 8 are tonally darker than in the rest of the games. Deaf & Hard of Hearing Gamers: There are instances of off-screen noises that will alert players to incoming enemies. Additionally, there are phasing blocks that will appear and disappear in time with a distinct noise that will trigger on their materialization. These blocks are scattered throughout most of the games. For Mega Man 8 in particular, there are animated cutscenes that do not have subtitles. Subtitle size cannot be changed.